Complete guidance and Instructions on online eLearning website…. Online eLearning is the key opener to brighter and better future has been the slogan from the traditional days. where education was and has been credited as a continuous process. we never stop learning whether directly or indirectly. We either are reaching for better salaries or knowledge of particular fields. In real sense we can never advance without education. Okay some might not agree but 90% of the country’s or global economy is boosted by education. What do I mean? Someone, somewhere has particular knowledge and opens up a business which generates income. They educate others on the same and the cycle continues. Recently education strategies have changed and technology taking its toll. Online learning has become popular and taking a fair share of education. Today we have what we call E-learning. What is E-learning? This a form of education via electronic devices, it more of digital online learning. It can be practiced personally or in institutions which are changing with the new trends. 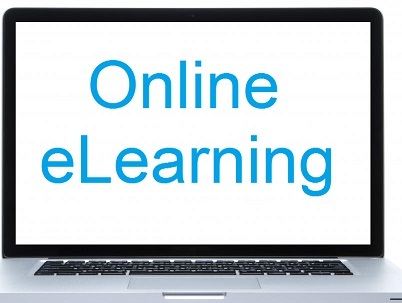 How can online eLearning change the education fate in future? E-learning has its best features which will bring greater change in future. It’s more likely many people will go for E-learning course while education institutions adapt to the idea an introduce E-learning courses. E-learning saves of time and space: students don’t have to appear for classes and can take the course whenever they want. They work according to their schedule. Software Application: e-learning is basically an online application, you can make your notes and documentation in one software. There better communication and reference tools: online course have consistent communication. learns can get reference from internet. Flexible and Digitalized: We might not embrace the online learning but as years go by learner’s won’t have time for making notes and visiting the class. Online learning is flexible. The favorite platform for many due to the capacity of freedom and growth. You have the freedom to modify your requirements according to what suits you or organization. You can either change or add to what benefits the platform. We don’t have outdated open-sources and hoping there will be none in future. The platform focuses on large groups, its open to all who have internet access. Massive open online course has many streams of study where learners can choose a particular course. Though some have specified courses. This type of platform is owned by big institution accommodating large number of students and offering certificate online. A flexible platform which gives one chance to create content within the system. one can create a website and application on this platform. We have PHPNuke, core media etc. Example of content management systems. For better communication the platform is set to help in video calling, phones and also chatting live helping in revisions and tutoring. Identify the requirement needed in let’s say business in order to have a clear portal. Build using the right features, advisably build a personal E-learning portal. What are the attributes to introduce in your online elearning? Be orderly: categorize your courses and give each a reasonable price. Give the names of the courses to offer whereby you can also give some as free course. Make sure you have a student profile for all those who enroll for certain course. Regular notification for what course is in line and when to start for new course. Have a good communication channel. Have video lesson they enhance understanding and attract many students. Have valid certification which are verified by the education ministry to avoid disappointment. Have creative and effective study methodology, and good relationship between trainers and students.